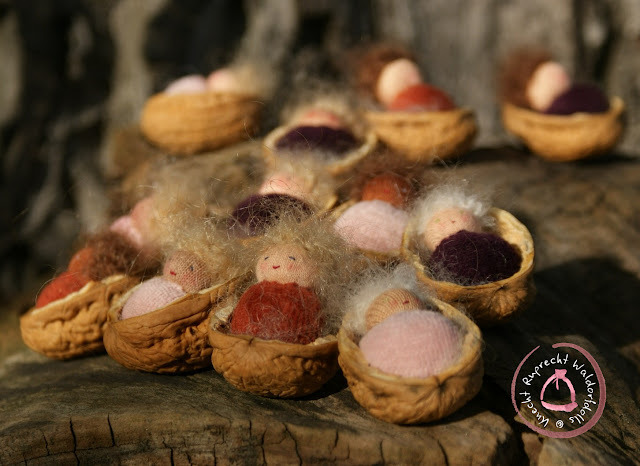 Each year, since about ten years, when our garden offers lots of fruits and nuts to us, I make some Walnut Babies in tiny Walnut shell beds using the shells of our fresh walnuts. I begin with looking for the largest nuts and dry and clean the shells while my children eat the nuts and have a cup of tea beside. 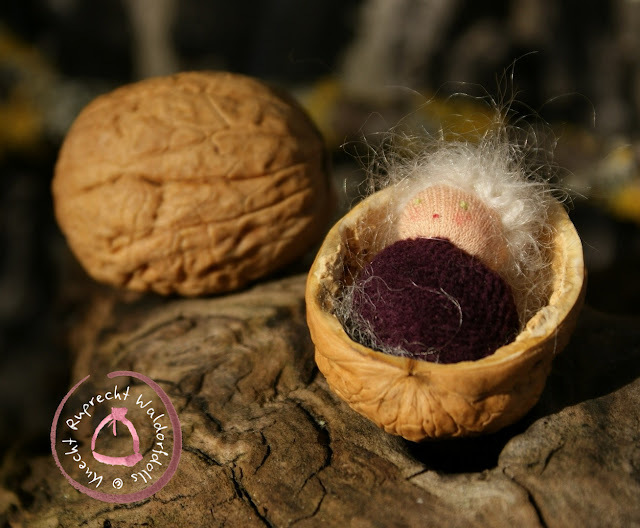 Then I start working on these tiny bodies and my children start to make their own little babies using the materials I carry around in my basket. 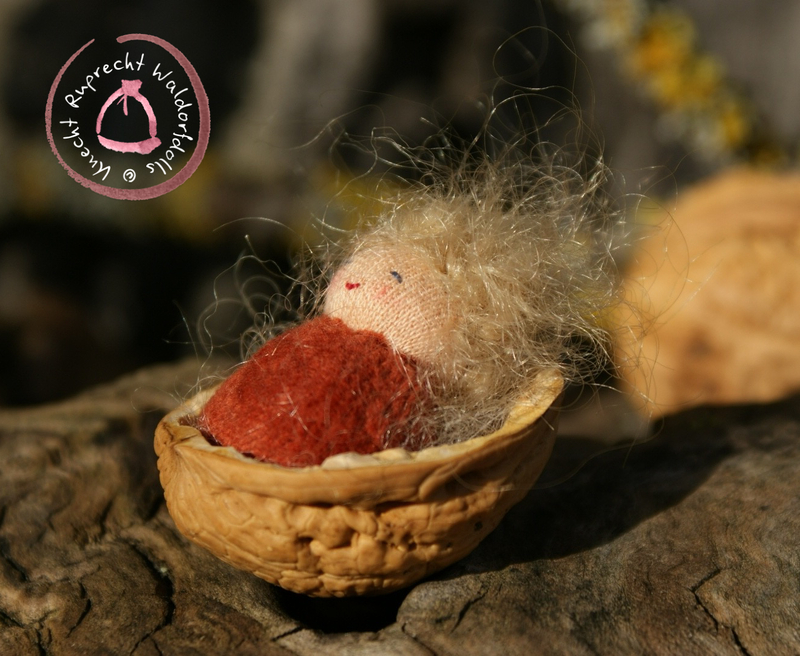 After many, many tiny stitches I hand embroider their faces and adjust their hand croched wigs. Finally they are bedded on soft organic lambswool in their little walnut shell cradles. 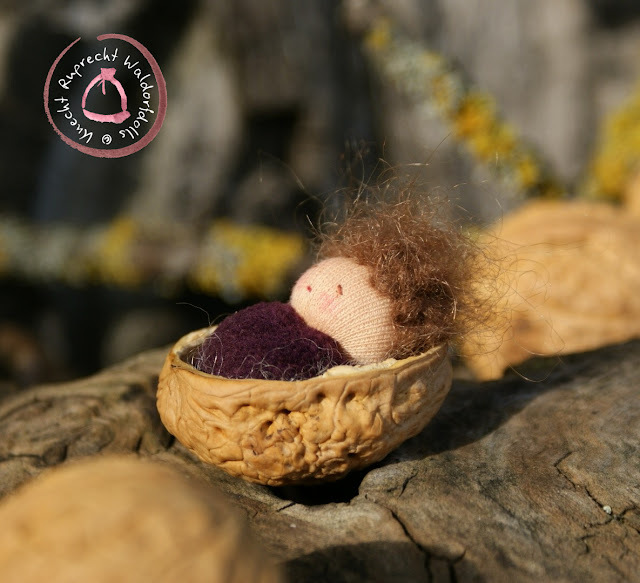 This year I made a limited edition of twelve Walnut Babies available here. 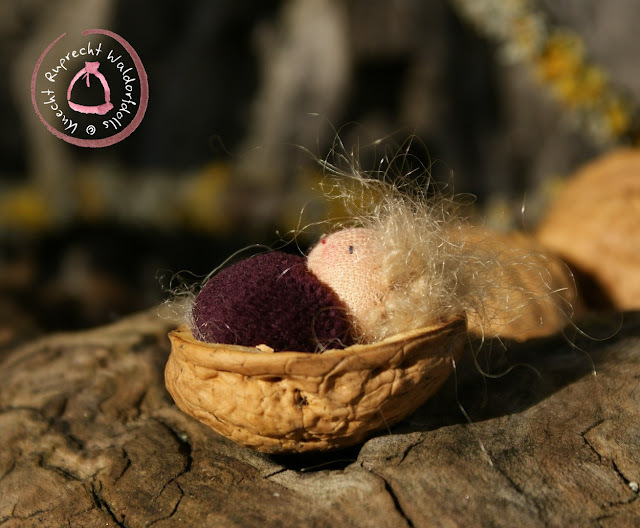 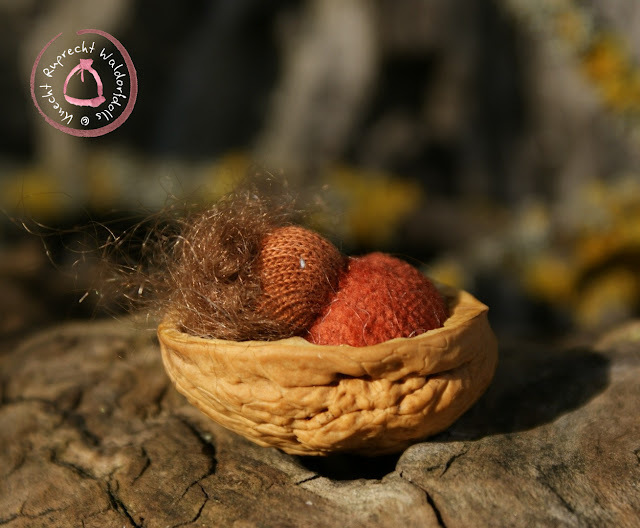 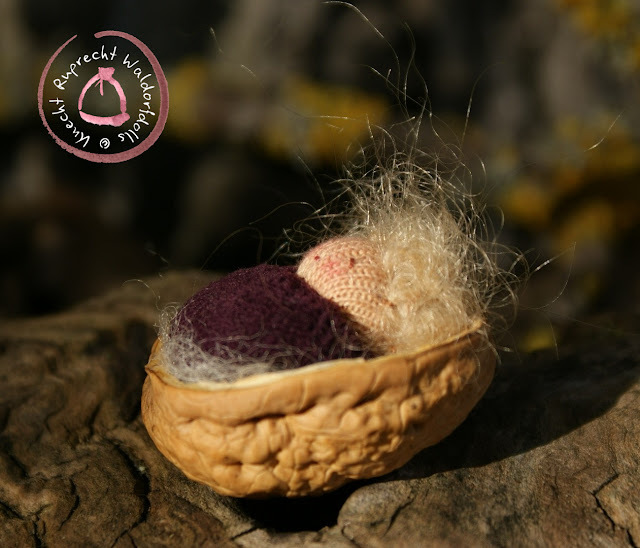 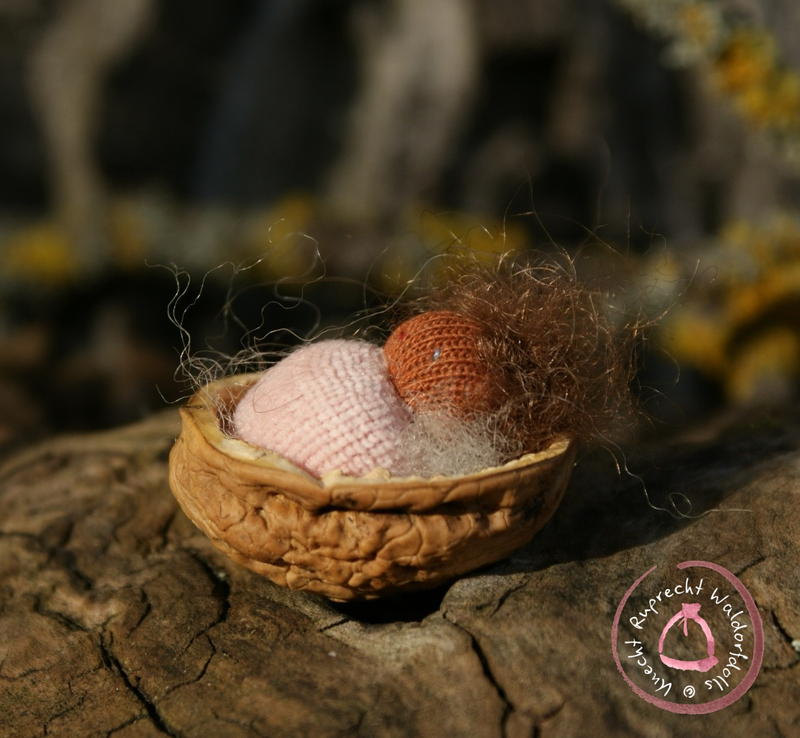 Each Walnut Baby is individual handmade from natural and organic materials and beded on organic lambs wool in an organic grown walnutshell. 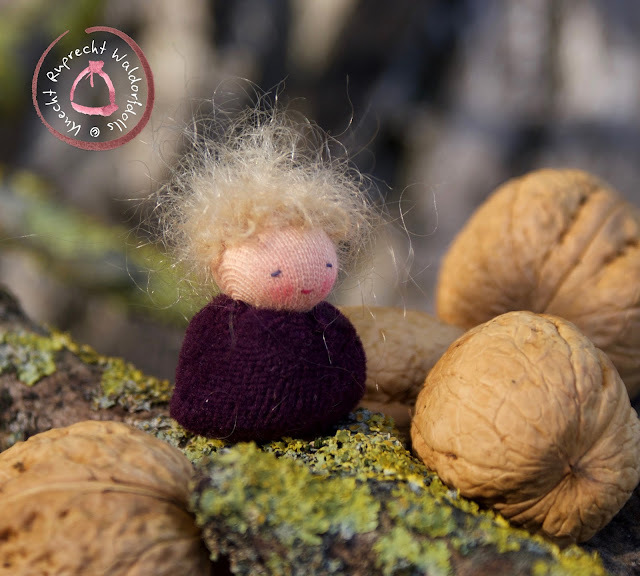 Its head is made of organic GOTS certified cotton interlock and it is stuffed with organic washed and carded wool. 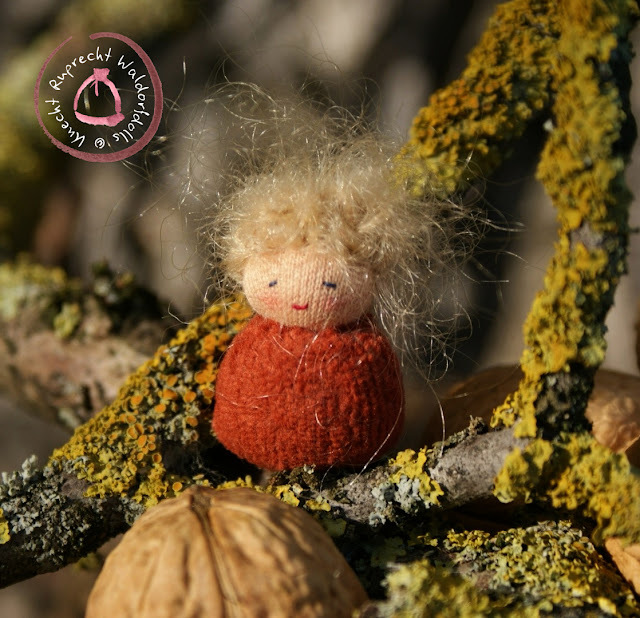 The body is made from organic GOTS certified cotton velvet. 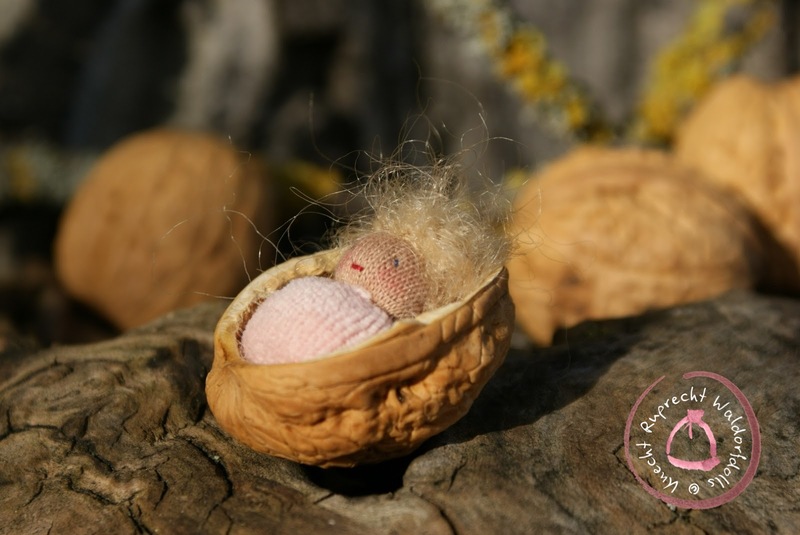 Its tiny wig is hand crochet and made of soft mohair yarn. Eyes and mouth are hand embroidered with lots of loving care. 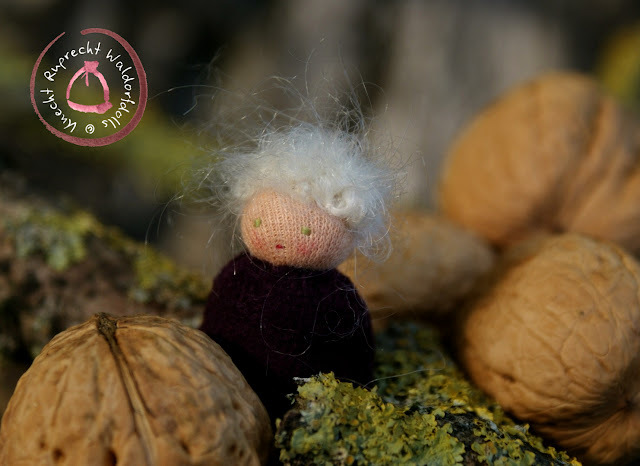 Its appearance is intentionally simple in order to allow the child playing with it to improve or strengthen imagination and creativity. 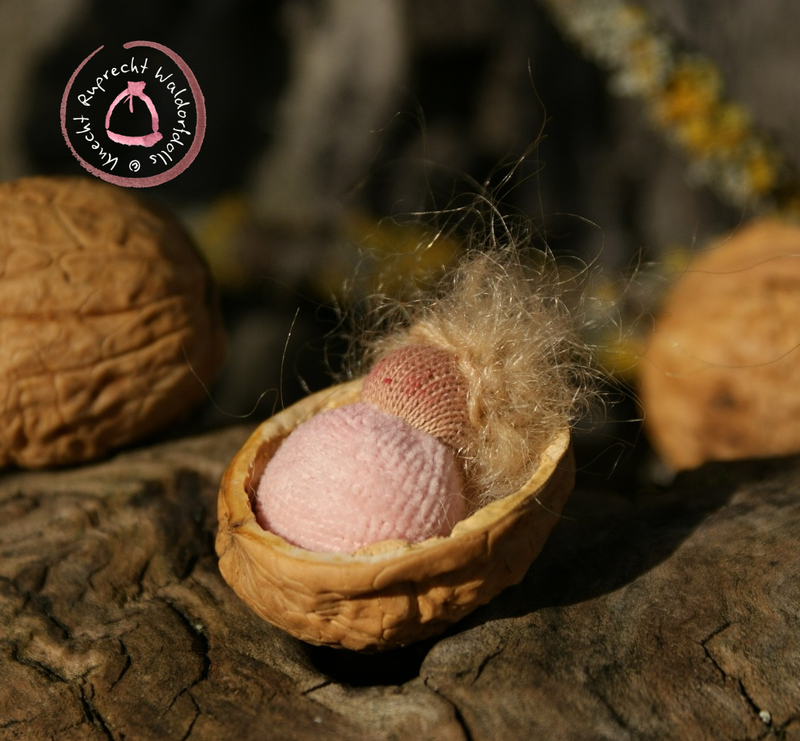 The Walnutshell is about 4 to 5 cm and it comes from an Austrian "Klosternuß" walnut tree in our own garden. 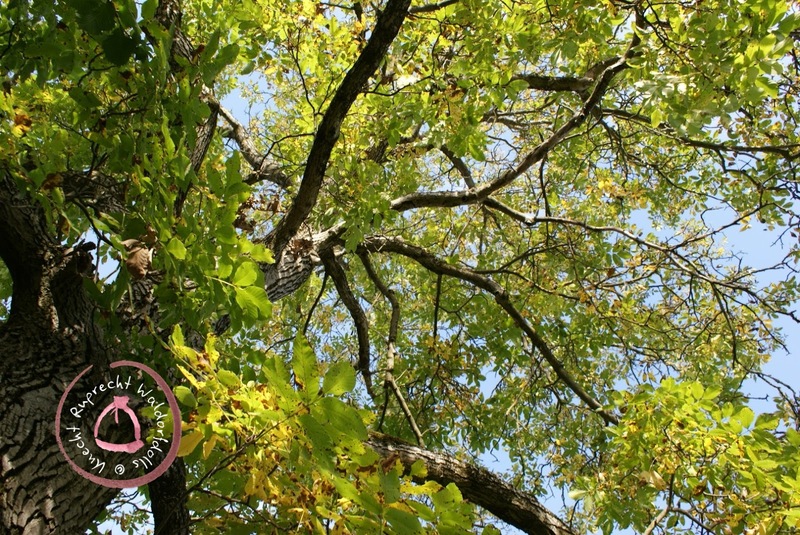 This kind of walnuttree is rare to find and known for its large and beautiful shells. 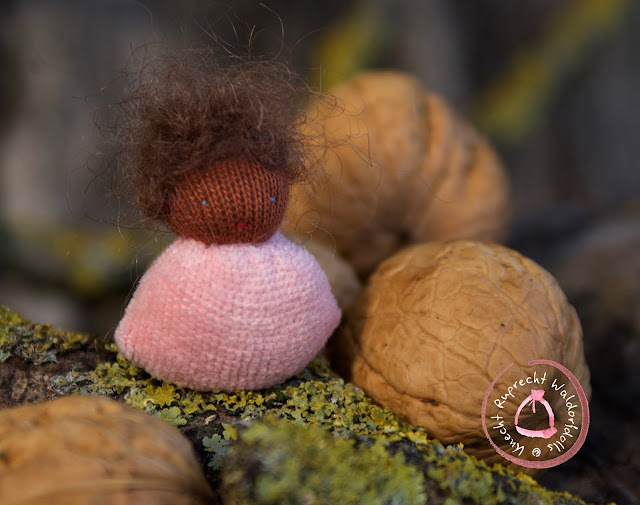 A Walnut Baby is a beautiful ornament for a newborn. 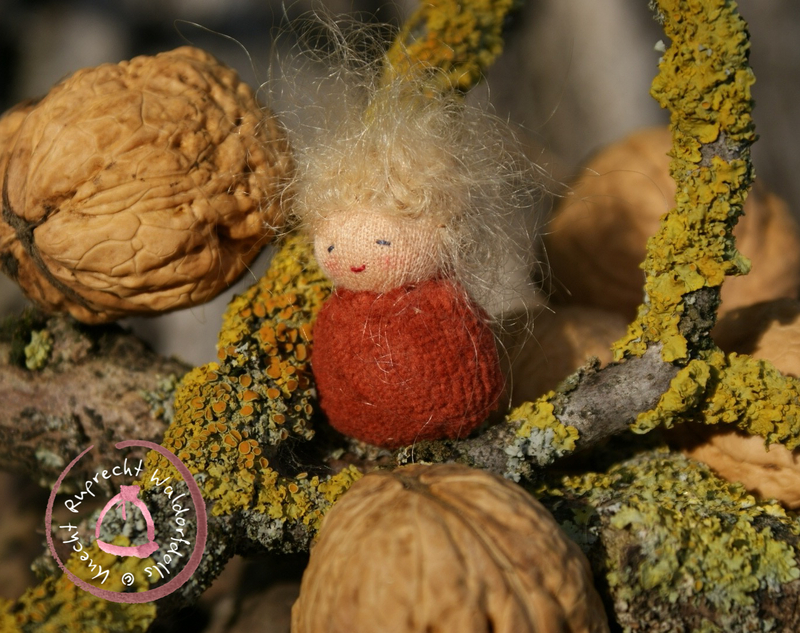 It can be used as a dollhouse families baby and it is a beautiful decoration on the nature table. 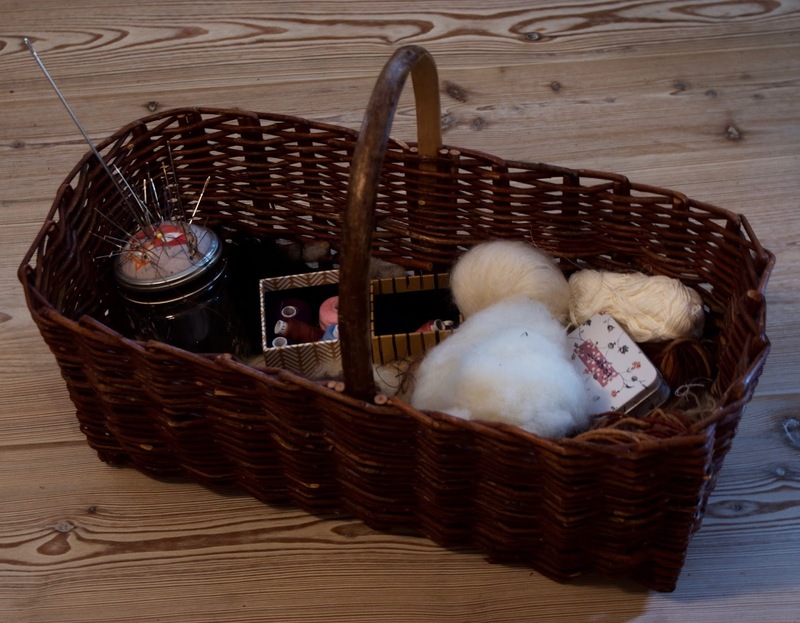 It is hand washable. 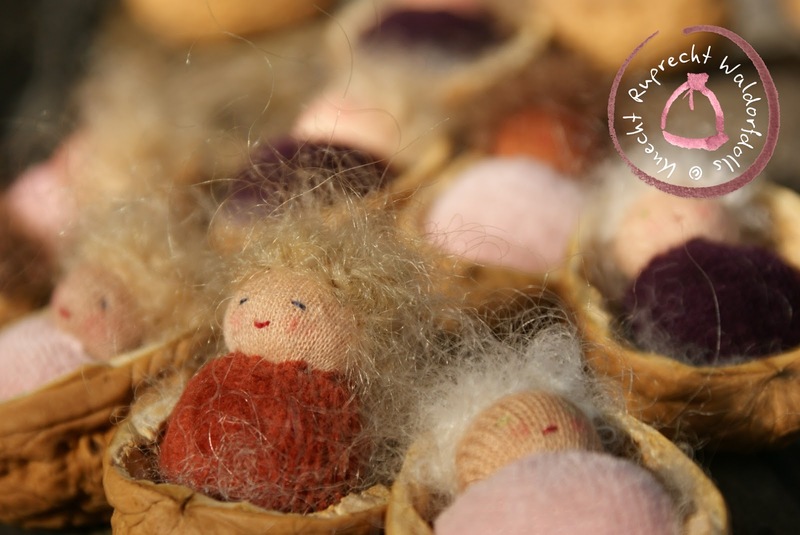 Please see doll care instructions in my profile. 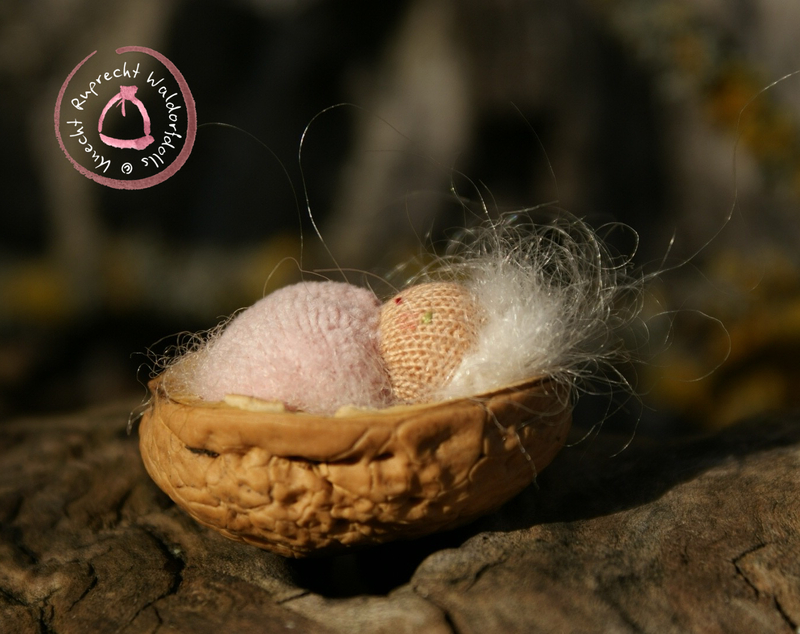 Please note: This listing is for one Walnut Baby.